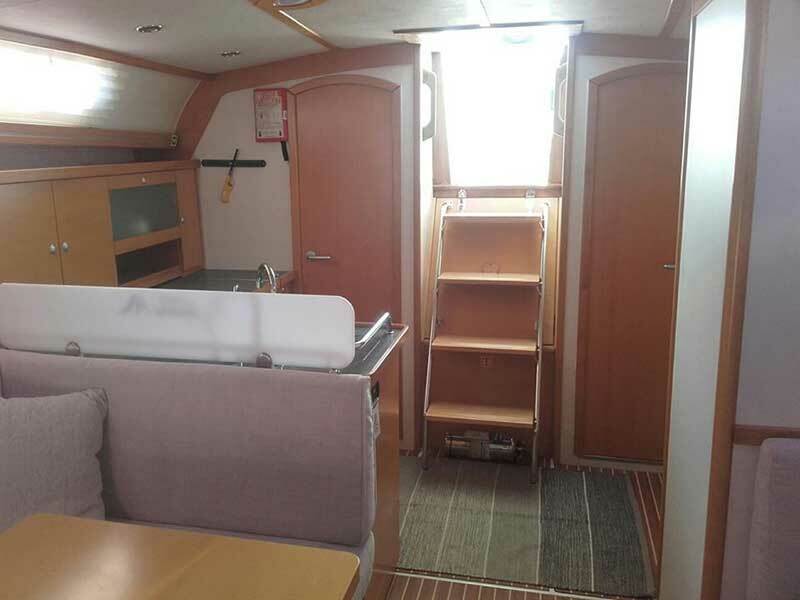 This immaculate Hanse 40 foot boat has almost every conceivable extra to facilitate single or short handed sailing. 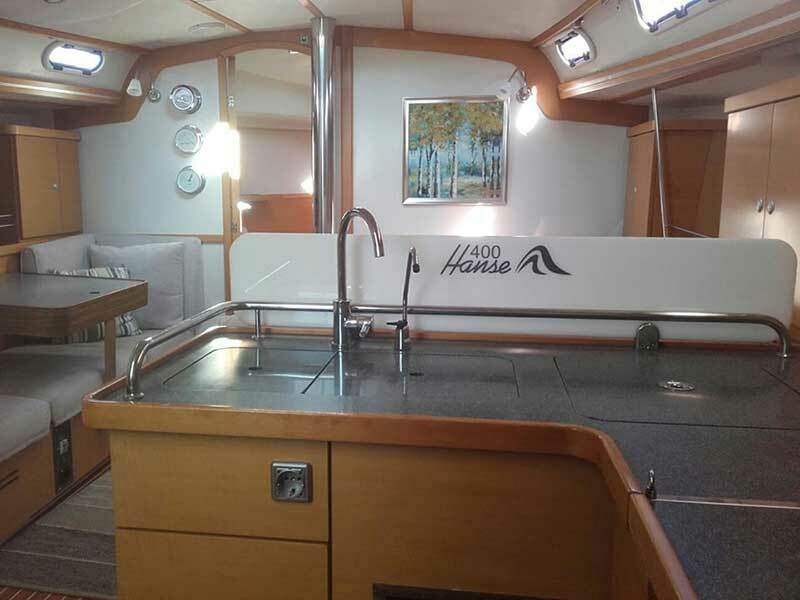 Designed by America’s Cup winning Designers Judel and Vrolijk the Hanse 400 is as easy to sail as she is fast and aggressive. Carrying most of her sail plan in the huge fully battened main supplemented by a self-tacking non-overlapping jib, she can tack into the wind all day while most “cruiser/racers” have packed up their genoas and turned on the engines. Her sail plan also facilitates higher pointing achieving 32 degrees without loss of performance and as much as 20 degrees when pinching. Beating at 35-40 degrees achieves 7 knots. 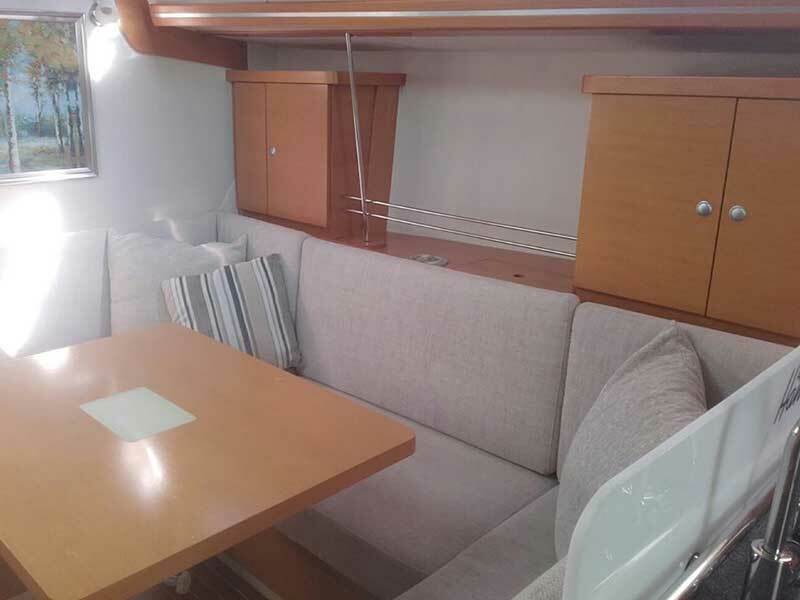 For light wind, she has 155% genoa by North Sail. Off the wind, she’s just as much fun. Rigged with an asymmetric spinnaker with North Sail snuffer. This sail is also controlled single handily from the cockpit. 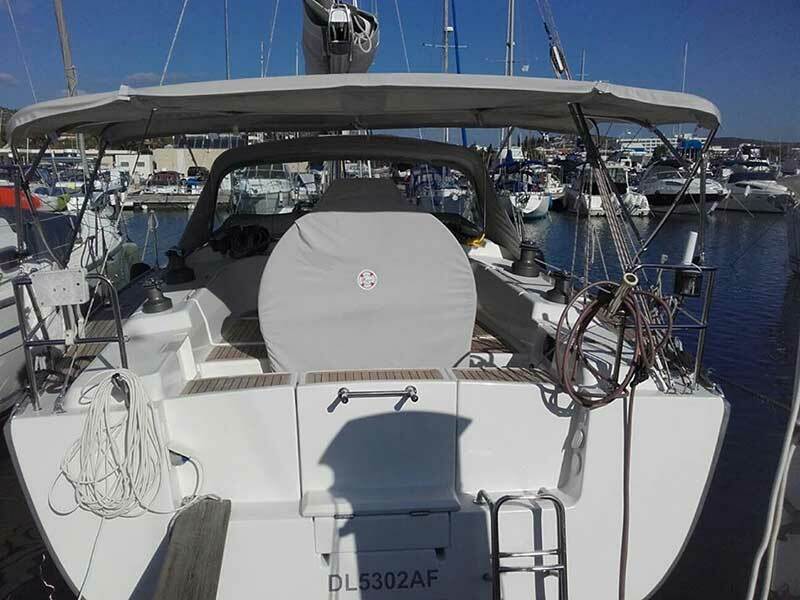 In fact, the asymmetric stays up all day when racing or cruising keeping well clear of the jib and can be used up to 60 degrees apparent to even beat in light winds, or kept rolled up in stronger winds when beating with the jib. Downwind between 90- 150 degrees apparent she really lies, easily achieving her hull-speed of 8 knots, with performance only dropping off between 160-170 degrees. 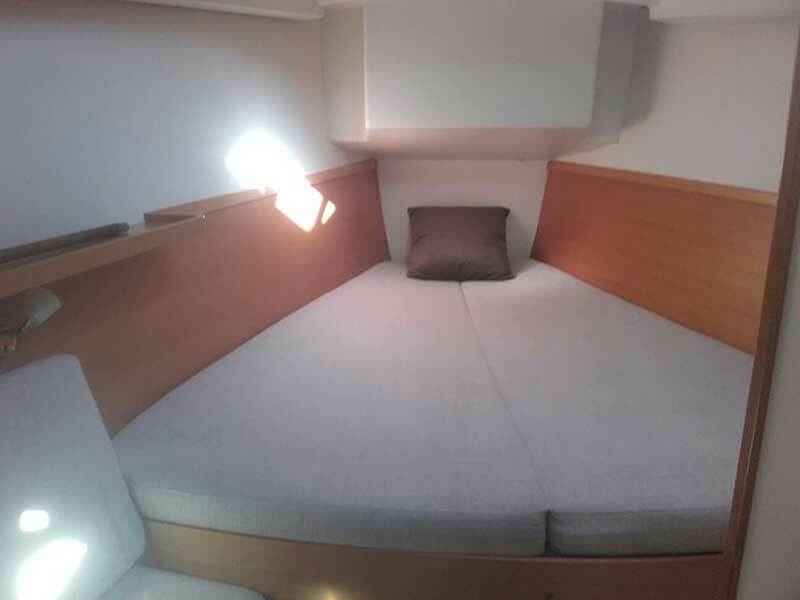 Below decks, she is light and comfortable accommodating her guests within three cabins and with two heads/toilets. She also has a separate shower cubicle. The living space is kept cool with a powerful air-condition which is a must in the Cyprus summer, and the overall light interior gives a feeling of unstuffy comfort. 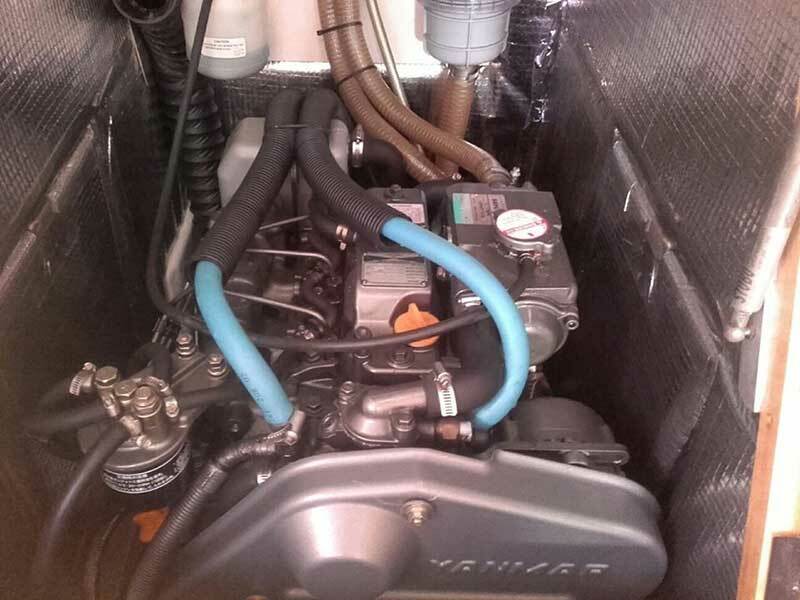 The 40 hp Yanmar is in pristine condition having clocked about 550 hours and through a three blade folding propeller, she achieves a cruising speed of 7 knots at 2500rpm or as much as 9 knots with mainsail at 2600 rpm. 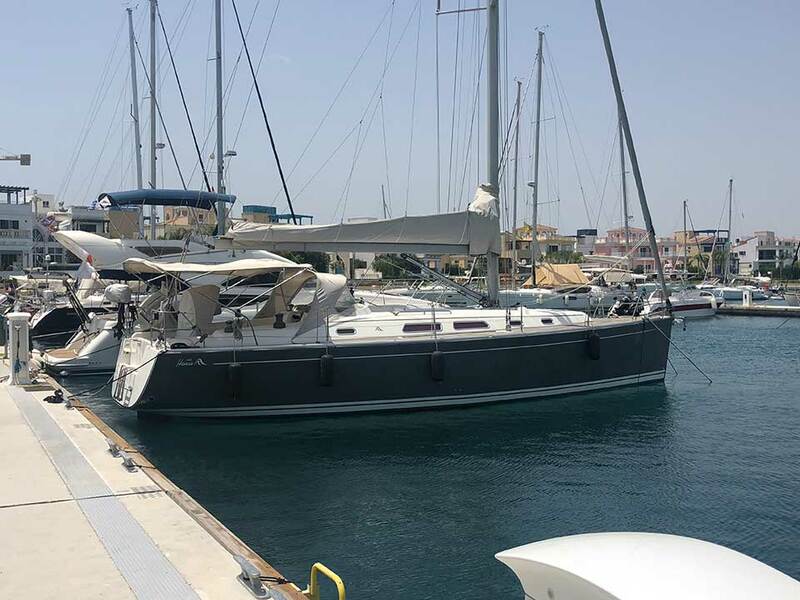 Manoeuvrability in the marina with this boat is also simple since she is equipped with a retractable bow-thruster, being lowered when needed via a control joystick and retracting away fully at a touch of a button to not impede when under sail. The 3-blade folding prop also gives precise and instant control, stopping the boat instantly when needed, and folding away under sail to give a 1-knot advantage over fixed blade props. Attention should be drawn to the complete range of Raymarine E-series integrated electronics including; Radar, AIS (automatic identification system, that warns of ships on a collision course or within a user-defined sector), remote handset which controls the autopilot and wind vane from anywhere on the boat, remote anchor windlass to even control anchor chain from shore. 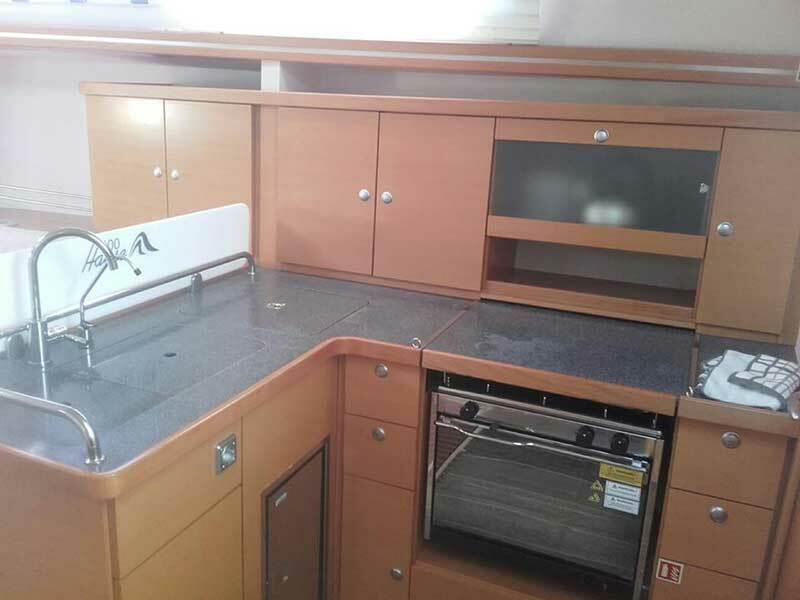 And a second control station in the saloon to give full functionality below decks.